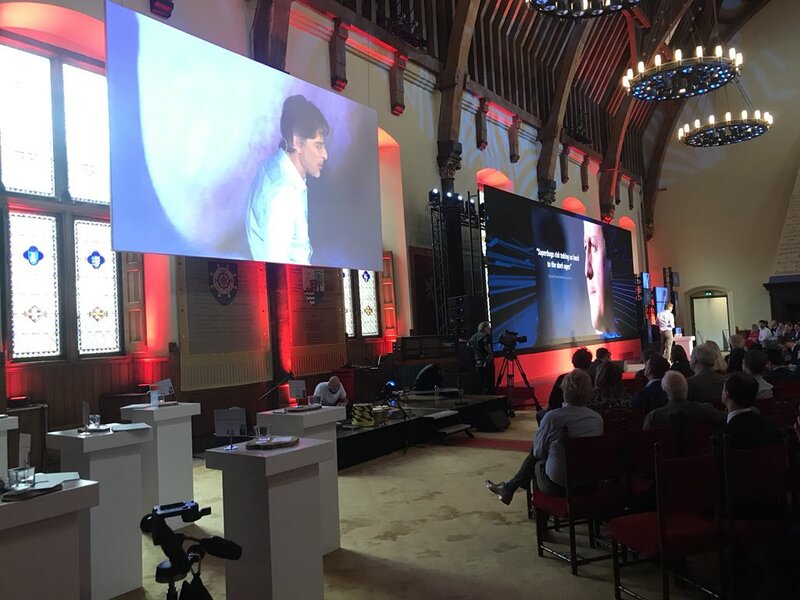 The Hague, May 8, 2018 – In the iconic Hall of Knights, packed with public and policymakers, Dutch biotech Micreos ‘sustainable alternative to antibiotics’ was chosen as Europe’s most relevant innovation, at the finals of the EU’s Ideas from Europe competition. Ideas from Europe is a European initiative that facilitates sustainable innovations aimed at addressing global challenges. In the presence of Mrs. Elsbieta Bienkowska, European Commissioner Internal Market, Industry, Entrepreneurship and SMEs, and Mrs. Mona Keijzer, State Secretary Economic Affairs & Climate Policy, 12 finalists pitched their inspiring innovations to tackle global challenges, such as healthcare challenges, climate change, immigration, bullying, food waste, extinction of species and renewable energy. Public and policymakers at the Knights Hall then chose their most impactful innovation. With Micreos’ endolysin technology, for the first time it is possible to kill only the unwanted bacteria, regardless of antibiotic resistance. Contrary to existing antibiotics it leaves the beneficial bacteria – essential for our health – intact, preserving the microbiome. Micreos’ recent human health advances originate in its profound understanding of phages, developed in its Food Safety business. Its PhageGuard Listex phage product is an elegant food processing aid against the deadly Listeria. It’s newest product, PhageGuard S, is effective against Salmonella. Ideas from Europe is a European platform aimed at promoting the development of ideas for society’s major challenges. The concept behind Ideas from Europe is that the involvement of the public at large can propel relevant breakthrough innovation (www.ideasfrom.eu). Micreos (www.micreos.com) develops endolysin- and phage technology that enables targeted killing of only unwanted bacteria. The company is considered the leader in this exciting new field. 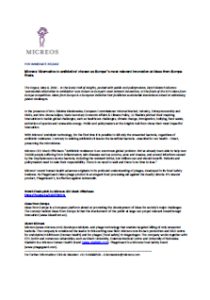 Micreos runs its own production and R&D centre for endolysins in Bilthoven (Human Health) and for phages ( food safety) in Wageningen. The company works together with ETH Zurich and numerous universities, such as Ghent University, Erasmus Medical Centre and University of Nebraska. Gladskin is a Micreos Human Health brand (www.gladskin.com). PhageGuard is a Micreos Food Safety brand (www.phageguard.com).